Tamara Eaton is a "western woman." She lives in the southwest USA, and wide open spaces of the desert and prairie are often portrayed in her work--fiction and poetry. Several of her stories have been published on line and in print. When she isn't writing, she is often editing for others. You can find out more about her editing business over here. Hope Springs has a secret–the waters mysteriously uplift the spirits of whoever drinks them. When the town’s young men depart to fight in WWII, tragedy strikes. Grief dilutes the waters unique effects, and hiding the village away from the world may provide shelter from the pain—but at what cost? Preoccupied with honoring their loved ones’ memories, five shattered women struggle to gather strength to overcome their loss, and find hope again. Liv Soderlund, at the precipice of adulthood, is safe within Hope Springs, but longs for change. When news of the war comes, she revels in the excitement of new possibilities. It all comes crashing down once reports of fallen servicemen reach them. Angry, she comes up with the idea which could protect the town from further hurt. At the promise of a new love, can she let the past go? Maxine Fiekens, a young bride who has had to handle adult responsibilities too soon, sends her husband off to war while she remains behind tending the village store. She’s the first to get word from the battlefront. Can she go on in the throes of unending sorrow? Ruth Ackerman refuses to have a rushed wedding to her fiancé so waves him good-bye at the train station and spends her days planning her dream occasion. When she also receives heartbreaking news, she rejects the notion of being stuck in a town filled with grieving women and heads off to California where she strives for her dreams. Susie Bracht dreams of leaving the village to further her education, but when the Korean Conflict breaks out, her brother and her boyfriend run off to be heroes. Her life is put on hold as she waits. Anna Frolander, a woman who already saw the devastation war can bring, sends two sons to the frontlines in WWII then another runs off to the Korean War. Sunk into a deep depression, will she climb out of the abyss? Some battles of war are fought on the Homefront by those left behind. 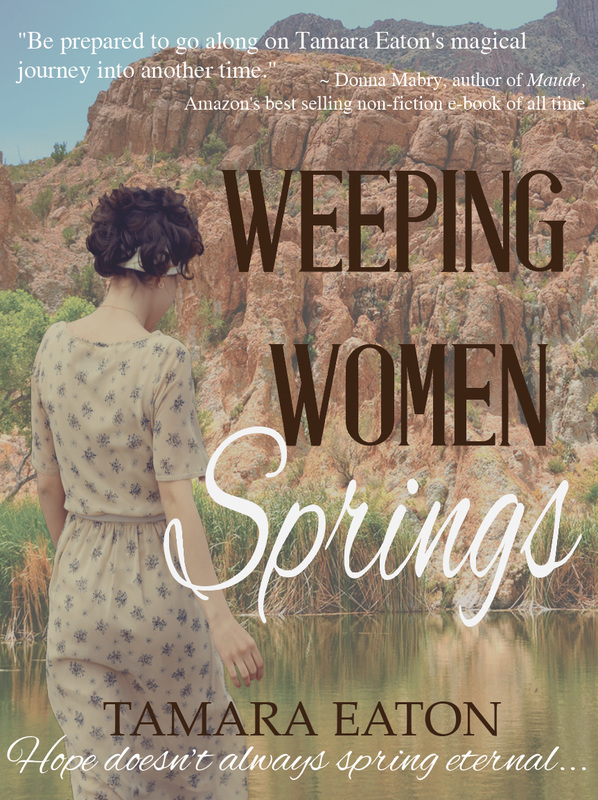 I'm thrilled to announce the publication of Weeping Women Springs through Irksome Rebel Woman--an imprint of Irksome Rebel Press. It is available through Amazon in both Kindle and Paperback.